Twin brothers Omar and Yaqub may share the same features, but they could not be more different. After a brutally violent exchange between the young boys, Yaqub, 'the good son,' is sent from his home in Brazil to live with relatives in Lebanon, only to return five years later as a virtual stranger to the parents who bore him, his tensions with Omar unchanged. 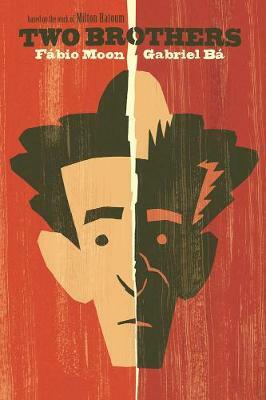 Based on a work by acclaimed novelist Milton Hatoum, Two Brothers is stunningly reimagined by the award-winning graphic novelists Fbio Moon and Gabriel Ba.